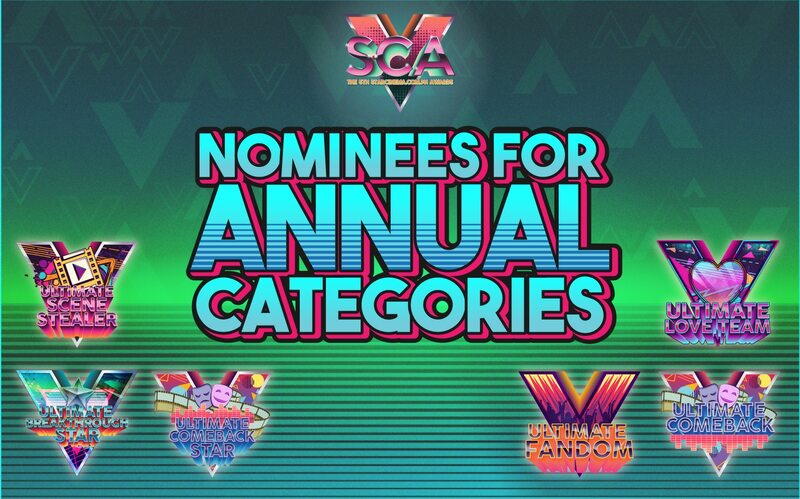 Here are the polls for #SCA5 annual categories. Make sure your faves come out on top! 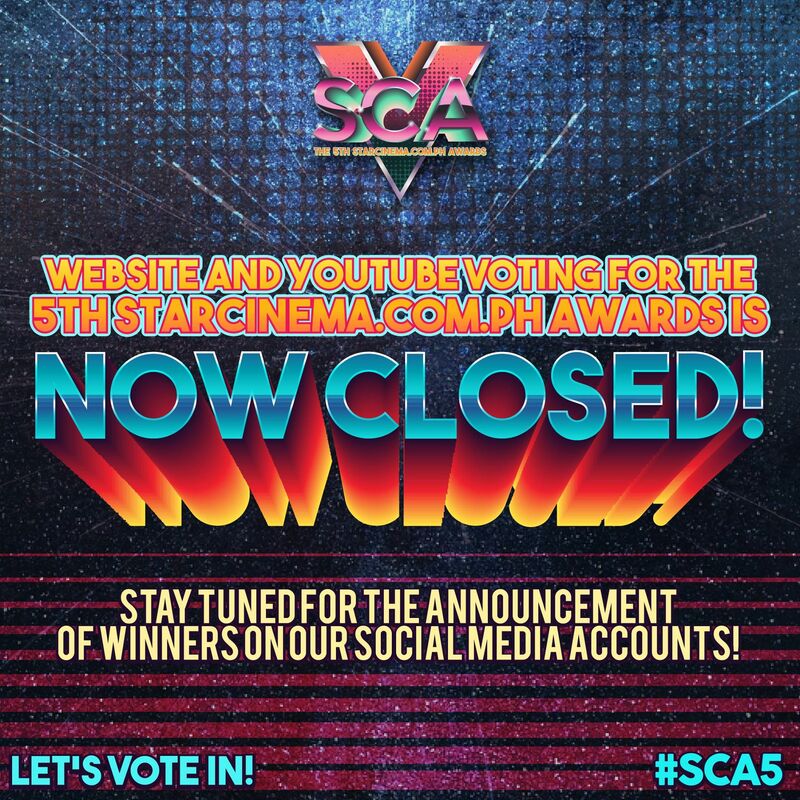 The polls are officially closed for the 5th starcinema.com.ph Awards! Below are the five annual categories — Ultimate Love Team, Ultimate Scene Stealer, Ultimate Breakthrough Star, Ultimate Comeback Star, and Ultimate Fandom — and the winners will be announced VERY SOON on our social media accounts! The 5th starcinema.com.ph Awards: Nominations start in 3, 2, 1, GO! Meet all the winners at the 3rd Star Cinema Online Awards!